Just in time for Cinco de Mayo, El Hefe in Tempe is hosting the ultimate Taco Eating Contest on Tuesday, May 2 at 7 PM. The first person to eat 10 tacos will win TWO FREE TACOS EVERY TUESDAY for a YEAR at El Hefe. It’s only $10 to enter but the competition is limited to the first 20 people to sign up. Anyone can sign up by visiting El Hefe Tempe. 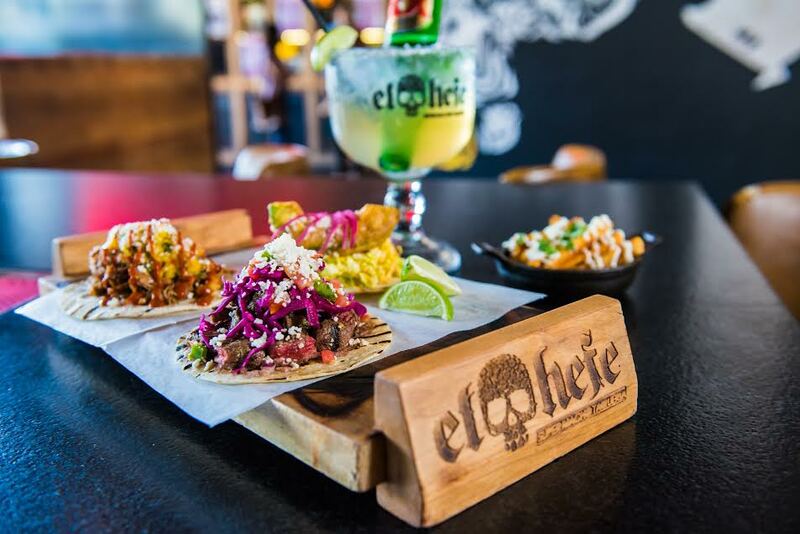 El Hefe, which has a second location in Scottsdale, has one of the best Taco Tuesdays in the Valley with $2 signature tacos from open to close. There is also a DJ at both locations that turns it into quite the party after 9 PM. Also, for Cinco de Mayo, El Hefe Tempe and Dierks Bentley’s Whiskey Row Tempe will host the Cinco De Mayo Block Party on Mill Ave. The massive block party on Friday, May 5 will have local DJ’s spinning top 40, house and hip hop and both locations will be decked out in décor with surprises and drink specials for its guests all night.